Whether green, herbal, black, or white, tea is an ideal beverage. Among the most pronounced benefits of tea: brain and heart help. Try all kinds: The benefits of tea—particularly for brain and heart health—make it a smart choice as a daily beverage. The benefits of tea, as studies continually illustrate, include positive effects on your brain as well as your blood pressure. 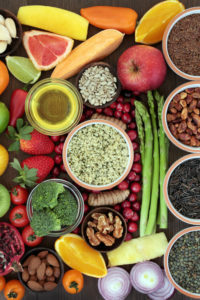 Consider it an effective “plant food”—its multiple benefits can reduce the incidence of major diseases. One small clinical trial showed that green tea improves the connectivity between parts of the brain involved in “working memory” tasks. Swiss researchers tested the effects of a beverage containing 27.5 grams of green-tea extract (equivalent to about two cups of brewed green tea) against a placebo. Healthy young male volunteers were then faced with a battery of working-memory tasks, their brains monitored via MRI (magnetic resonance imaging). Men who had been given the beverage containing green-tea extract showed increased connectivity between the brain’s right superior parietal lobe and the frontal cortex. This effect on connectivity within the brain coincided with improvements in actual cognitive performance on working-memory exercises. In another study of people with mild memory impairment, daily supplements of green tea extract plus L-theanine (an amino acid unique to tea) over four months improved memory and mental alertness compared to a placebo. 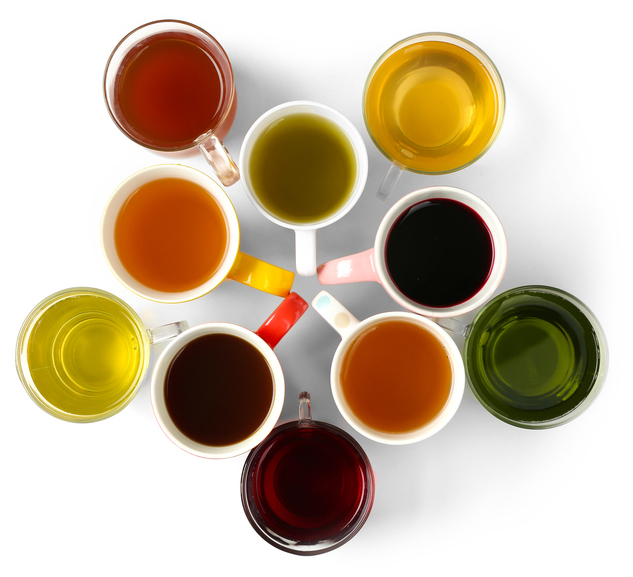 Like other plants, tea is a rich source of phytochemicals, including compounds called phytochemicals. One reason green tea might be especially good for your brain is that it contains a polyphenol compound called EGCG (epigallocatechin-3-gallate). Researchers at the University of Michigan have reported that EGCG prevents the formation of potentially dangerous amyloid aggregates associated with the development of Alzheimer’s disease. A green-tea extract also broke down existing aggregates in proteins that contained metals—copper, iron, and zinc—associated with the disease. British scientists have tested the effect of green tea extracts on “balls” of amyloid proteins created in the lab. The extracts caused the shape of the balls to distort in such a way that they could no longer bind to nerve cells and disrupt their functioning. Another of the benefits of tea is keeping a lid on high blood pressure, which is the No. 1 risk factor for strokes and vascular dementia. One Australian study reported that drinking three cups daily of regular black tea was associated with a small but significant drop in blood pressure. Researchers divided 95 study participants, ages 35 to 75, into two groups: One group drank three cups of black tea daily, while a control group drank a placebo beverage containing the same amount of caffeine but no actual tea. At the study’s start, participants had systolic blood pressure readings ranging from 115 to 150 mmHg (normal to stage-one hypertension). After six months, those in the tea-drinking group saw an average drop in systolic pressure (the top number) of two to three points and about a two-point drop in diastolic pressure, compared to the control group. The benefits of tea for blood pressure includes herbal teas. Hibiscus is one of the most common ingredients in herbal teas; it gives the beverages a fruity, tart taste and red color. This fruit of a flowering plant is rich in antioxidants, including anthocyanins, flavones, flavonols, and phenolic acids. Research led by Diane L. McKay, PhD, of Tufts’ HNRCA Antioxidants Research Laboratory, has shown that a few cups a day of herbal-tea-containing hibiscus can help to lower high blood pressure in pre-hypertensive and mildly hypertensive adults as effectively as some medications do. In one study, Dr. McKay and colleagues recruited 65 pre- or mildly hypertensive volunteers, ages 30 to 70. About half of the participants drank three cups of hibiscus tea per day for six weeks, while a control group received a placebo beverage containing artificial hibiscus flavoring and color. Those who drank the hibiscus tea saw a 7.2-point drop in their systolic blood pressure, significantly more than the placebo group. Those results are comparable to that delivered by standard blood-pressure medications. Participants with the highest blood pressure at the study’s start showed the most significant reductions. alzheimer, antioxidants, black tea, blood pressure, blood pressure medications, blood pressure readings, brain, caffeine, cognitive performance, dementia, epigallocatechin 3 gallate, food, green tea, health, heart disease, high blood pressure, hypertension, improved memory, iron, memory, memory exercises, memory impairment, oxidized, polyphenols, risk of heart disease, stroke, supplements, systolic blood pressure, to lower high blood pressure, vascular dementia, working memory, zinc.